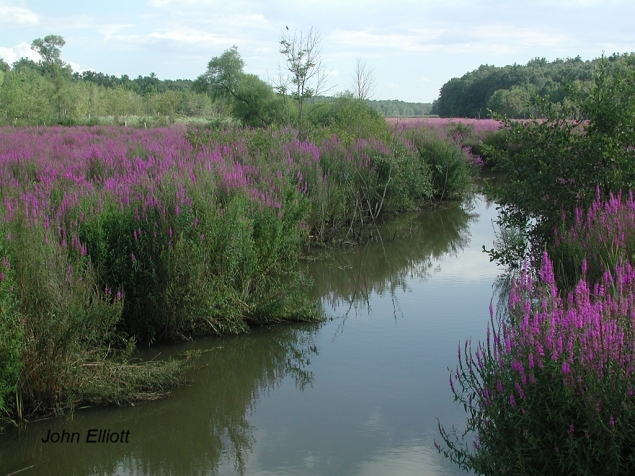 Most people hate Pruple Loosestrife because it crowds out other plants. This is an example. The strong presence of purple and the reflection sky in stream are important in this photo.